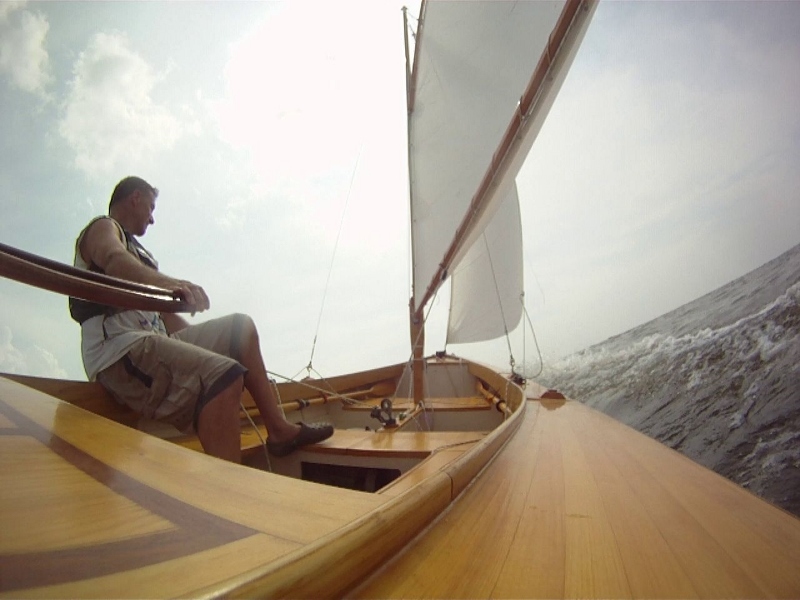 This is my first boat, a Penobscot 17 designed by Arch Davis. 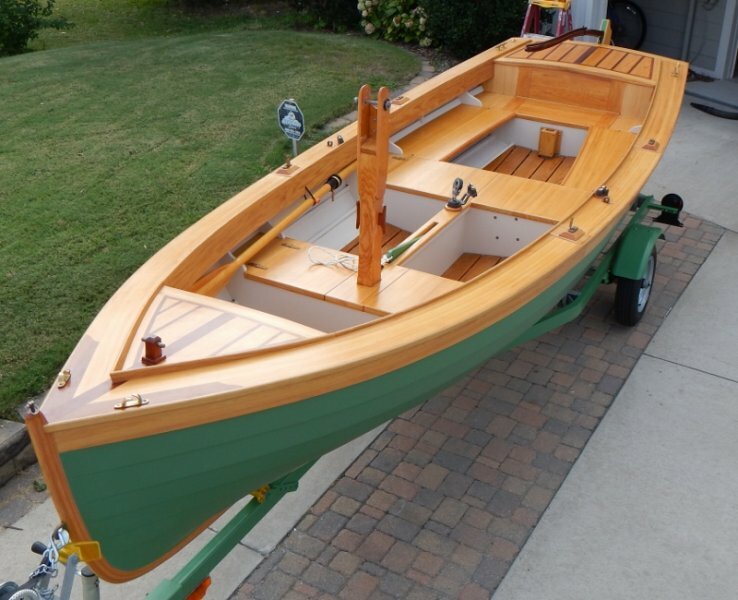 I built the boat with a bright finish cypress/teak deck, cypress faced sheerstrake, and white oak coaming, rub rail and flooring. 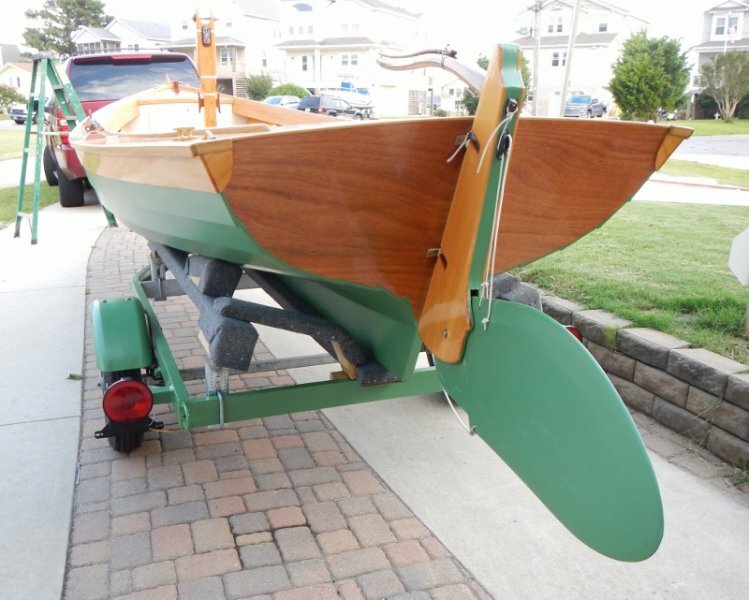 A slight modification was made to the width and curve of the sheerstrake. The flooring and seat panels are all removable with large access openings to the forward and rear compartments (foam filled). 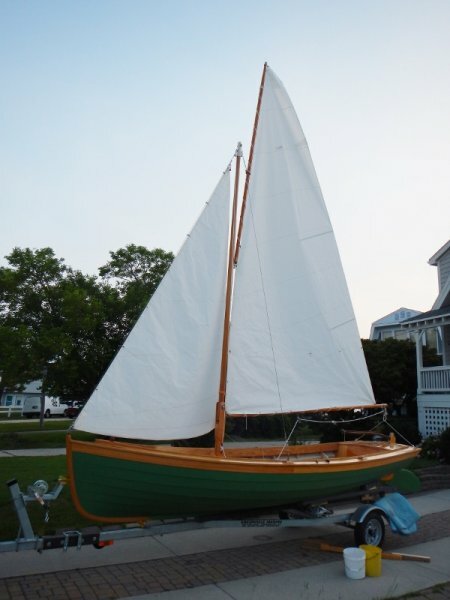 A pivoting stayed gunter rig was designed for ease in rigging and converting from row to sail. The design changes were implemented to emphasize sailing over rowing, though she is still a fine rower. Sea trials have shown the boat to be a very capable performer in the eastern Albemarle Sound (often windy and choppy), the boat’s current home port. She is transported and stored on a new customized Road King trailer painted to match the #37 Permanent Green hull color from Kirby’s Paint.